We're with you on the journey. At M&T Securities, we provide investment and insurance strategies to guide you on your financial journey. It's about sorting out needs and wants. Idealistic goals and realistic objectives. And it's about doing so with a guide you already know and trust. Our four-step approach can help you set a course for your financial future. OUR DISCOVERY PHASE BEGINS WITH YOUR FIND 59 FINANCIAL REVIEW. WE’LL ASK A LOT OF QUESTIONS AND DO A LOT OF LISTENING. WE’LL GET TO KNOW YOU – AND WHAT’S IMPORTANT TO YOU. ONCE WE HAVE A BETTER UNDERSTANDING OF YOUR GOALS AND OBJECTIVES, WE CAN HELP YOU DESIGN A ROADMAP FOR YOUR FINANCIAL FUTURE AND PROVIDE RECOMMENDATIONS FOCUSED ON YOUR GOALS. THIS IS WHEN ALL THE HARD WORK GETS ACTIVATED. WE’LL HELP YOU PUT YOUR ROADMAP INTO ACTION. AT ANY POINT IN YOUR JOURNEY, YOU CAN CALL ON US FOR GUIDANCE WHILE YOU MANAGE YOUR ACCOUNT. WE’RE HERE TO HELP YOU ALONG THE COURSE TO YOUR FINANCIAL FUTURE. Is your financial future worth 59 minutes? See how we can help. Invest 59 minutes to help you have a better understanding on what you can do today to get on the path to your financial future. There is no charge for the financial review or policy review, however you may pay a commission or sales charge if you make a purchase as a result of the review. © 2019 M&T Securities. All rights reserved.
) 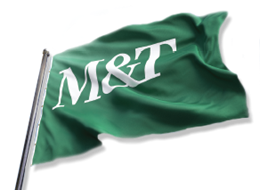 not by M&T Bank. 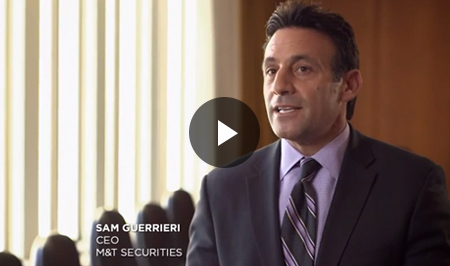 M&T Securities, Inc. is licensed as an insurance agent and acts as an agent for insurers. Insurance policies are obligations of the insurers that issue the policies. Insurance products may not be available in all states.